As part of a huge nationwide project, we assisted our client Paddypower by fabricating and installing a variety of different signage for both internal and external use. 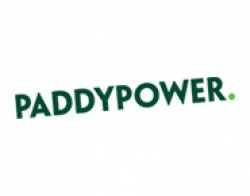 We value our relationships with our clients and are proud to be able to say that we have worked with Paddypower for over 15 years. The majority of the signs we manufactured and installed for this project were done so using aluminium panels that we then powdercoated to match the exact branding colours of our client. We also worked closely with them through their design and brand as it adapted and grew over the years. Both the internal and external signage were installed with LED lighting to effectively draw attention through the night. If you like what you see here and would like to discuss signage possibilities for your company, contact us today.